After you have major repairs or just a battery replacement, you see a message on a display of a car radio or navigation system asking a code. Until you enter the right code, you can’t use the radio or navigation system. There are some places you retrieve Acura and Honda radio code. This information applies on most Acura and Honda vehicles. The code and serial number for the radio and navigation is written on an anti-theft ID card. The dealer recommends you to keep the card somewhere safe outside the vehicle. So, if you never pay attention to this card, it is most likely in a folder of an owner’s manual and warranty booklet, etc. If you can’t find the card, look at the side of the glove compartment. You can find a sticker with the code and serial number on the inner wall of the glove compartment. Unlike a card, it may just show the code and serial number without telling what they are for. But, now you know. The code is likely only numbers of 4 or 5-digit, and the serial number is likely around 10-digit alpha-numeric. In case you don’t find either a card or a sticker, you still can retrieve that through a website. You will need to enter the following information to retrieve the code through a website. Name, Address, Email address, Phone number, VIN, and Serial number. VIN stands for Vehicle Identification Number. It is 17-digit alpha-numeric. It’s like a serial number of a vehicle. Any car has it. You can find that on several places. 2) Turn ON the device and confirm that the display reads COdE. If you don’t see this message, pull the backup fuse for 1 minute, and then go back to step 1. 3) Turn OFF the device. 4) Press and hold the 1 and 6 radio preset buttons, and turn ON the device. 1) Turn the ignition switch to ACC (I). 2) Turn on the audio unit, and make sure you see COdE in the upper display. If you don’t see this message, pull the backup fuse for 1 minute, and then go back to step 1. 3) Turn off the audio unit. 4) Press and hold the top halves of the SEEK/SKIP and CH/DISC bars, and then press and release the PWR/VOL knob. This display toggles between two screens. 5) The first screen displays a U and the first four digits of the serial number (for example, U2200). 6) The second screen displays an L and the last four digits of the serial number (for example, L0055). 7) Ignore the U and L, and write down all eight digits. The serial number is on the back of the radio unit. So, you need to pull out the radio unit from the dash. A procedure of radio removal and installation varies from models to models. It’s recommended to obtain and refer to your vehicle’s repair manual for the radio removal and installation, otherwise you may damage the radio unit or dash. When you have all information, go to https://radio-navicode.honda.com/ (or https://radio-navicode.acura.com/ for Acura vehicles) and enter all information. You will receive the code in no time. This entry was posted in Auto Repair and tagged Acura, Anti-Theft, Honda, Navigation, Radio on April 20, 2019 by admin. After you have a major repairs that require to disconnect the battery, you may notice your Acura or Honda power window problems. Although you can open and close the windows by pressing or pulling the buttons, AUTO UP and AUTO DOWN features don’t work. AUTO DOWN is the feature that pressing the button firmly down opens the windows all the way. And AUTO UP is the feature that pulling the button firmly back closes the window all the way so you don’t have to keep pressing or pulling the button. If you experience this problem, all you need is reset the power window control unit. Here is the procedure. 1) Turn the ignition switch ON (II). 2) Move the driver’s (or the front passenger’s) window all the way down by using the driver’s window DOWN switch. 3) Open the driver’s door. Note: Steps 4 to 7 must be done within 5 seconds of each other. 5) Push and hold the driver’s (or the front passenger’s) window DOWN switch. 6) Turn the ignition switch ON (II). 7) Release the driver’s (or the front passenger’s) window DOWN switch. 8) Repeat steps 4 to 7 three more times. 10) Confirm AUTO UP and AUTO DOWN do not work. If AUTO UP and DOWN work, go back to step 1. 11) Move the driver’s (or the front passenger’s) window all the way down by using the drivers (or the front passenger’s) window DOWN switch. 12) Pull up and hold the driver’s (or the front passenger’s) window UP switch until the window reaches the fully closed position, then continue to hold the switch for 1 second. 13) Confirm that the power window control unit is reset by using the driver’s (or the front passenger’s) window AUTO UP and AUTO DOWN functions. If the window still does not work in AUTO, repeat the procedures several times, paying close attention to the 5 second time limit between steps. If you go to the dealer to fix this problem, you may be charged for half an hour labor cost. This procedure is written on the owner’s manual. This is a good example that the owner’s manual is somehow neglected but actually it’s a great source of information about your very own vehicle. And, it’s the common procedure among Acura and Honda vehicles with AUTO UP/DOWN features. This entry was posted in Auto Repair and tagged Acura, Honda, Window on April 19, 2019 by admin. 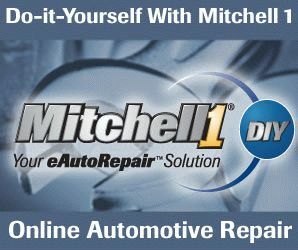 If you are experiencing a rough idle on your vehicle after you disconnect a battery for any reasons, you need to perform the idle relearn procedure. Late models of Ford vehicles equip an electronic throttle body (ETB), which is fully controlled by a vehicle computer. An ETB eliminates the need for an idle air control valve and a physical linkage between an accelerator pedal and throttle plate. Instead, the vehicle computer controls all these things by sending a signal to a motor inside the ETB based on the readings from various sensors. When disconnecting a battery, the computer loses communication with the sensors, as well as memories that have been stored in the computer The communication must be re-established by performing the following Ford idle relearn procedure. Please note that there are a few different procedures depending models and years. The procedure below is common in most 2000’s Ford vehicles. 1. With the vehicle at a complete stop, set the parking brake. 2. Put the gearshift in P (Park), turn off all accessories and start the engine. 6. Release the parking brake. With your foot on the brake pedal and with the A/C on, put the vehicle in D (Drive) and allow the engine to idle for at least one minute. 7. Drive the vehicle to complete the relearning process. • The vehicle may need to be driven 10 miles (16 km) or more to relearn the idle and fuel trim strategy. • If you do not allow the engine to relearn its idle trim, the idle quality of your vehicle may be adversely affected until the idle trim is eventually relearned. The Ford idle relearn procedure is written in a section of battery’s maintenance and specification on an owner’s manual. It’s a good example that owner’s manuals are somewhat neglected, but actually a great source of information for your very own vehicles. Please note that this procedure is necessary for around 2000’s models of Ford vehicles. The newer models may need a different procedure from the one above. For example, just letting it idle for several minutes will have the computer relearn idle condition or the slightly different but mostly the same procedure as one above. Anyway, refer to your owner’s manual, and you will find the specific procedure for your vehicle. The procedure is also called Battery Relearn among Ford owners in their forums, but it’s just the same thing as idle relearn, throttle relearn, resetting, calibration, etc. This entry was posted in Auto Repair and tagged Ford, Throttle Body on April 1, 2019 by admin. Late models of Nissan vehicles equip an electronic throttle body (ETB), which is fully controlled by a vehicle computer. After you replace an ETB, you will need to have the computer relearn the position of the throttle plate to maintain the correct idle speed. Sometimes, other repairs such as a battery replacement and ETB clean-up may cause the idling to act up. This problem may turn on Service Engine Soon light (=check engine light) and store the trouble code P0507 – Idle speed control system RPM higher than expected. If you are in this situation, you need to perform this Nissan idle relearn procedure below. The procedure is kind of tricky. The timing is critical. A stopwatch may help you perform the procedure with precise timing. Before the procedure, Service Engine Soon light needs to be cleared by disconnecting a battery cable for at least 30 seconds. The procedure is necessary after replacing an ETB, disconnecting a batter, and so on. The idling starts acting up all of a sudden, something else may be the cause of the problem. So, if Service Engine Soon light is on, it is important to scan the computer, read and take notes of all codes. You might as well perform and see if it will fix the problem because the procedure doesn’t require any special tools. But if the same symptom exists or comes back, you can start diagnosing based on the codes on the notes you take before the procedure. This entry was posted in Auto Repair and tagged Nissan, Throttle Body on March 31, 2019 by admin. If your car has a problem like a rough idle, idling too high or low, and engine stalling, you may need idle relearn procedure. Vehicles with Electronic Throttle body is fully controlled by a vehicle computer. If something cuts the communication between these two devices and erases the memory in the computer, idle is erratic until the computer relearns the throttle position and re-establish the communication with the ETB. Here is the idle relearn procedure for Subaru vehicle. 1) Turn off the lights, aircon, stereo or any system in the car that draws extra current on top of the engine. 2) Disconnect the battery for 30 mins. 4) Before you start the car for the first time, turn the key to the ON position but do NOT turn the engine over. 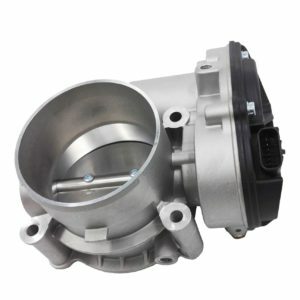 Wait 10-15 seconds so the electronic throttle body or IACV has time to go to the factory programmed home position. 5) After waiting, start the car and let it idle without any load, lights, A/C etc. 6) Every 20 seconds or so the idle will be adjusted up and down as the ECU tries to adjust it towards a stoichiometric fuel / air mix. 7) Leave the engine running for a full 10 mins but DO NOT TOUCH THE ACCELERATOR during this time or turn on anything that will cause extra electrical current draw. 8) Turn off the engine, and leave the key in the OFF position for at least 20 sec. 9) As per step (4) turn the key back to the ON position for 10-15 sec without actually starting the engine. 10) Start the engine and leave to idle for a further 5 minutes without touching the accelerator and without turning on other systems in the car. 11) Turn off the engine again and wait at least 20 sec before restarting. 12) Take the car for a test drive as the ECU should now be fully retrained. As mentioned above, the procedure is necessary when you have idling issues AFTER doing something like disconnecting a battery, replacing an ETB, clearing the check engine light, etc. If idling goes erratic all of a sudden, probably the procedure doesn’t help. The cause of the problem is likely something else. Here is what happened to my 2006 Subaru Forester. The idling became erratic and then stayed low after I had cleared an OBD trouble code. The code had something to do with oil pressure (P0522 – Engine Oil Pressure Sensor/Switch Low Input). Just before I got this code, I changed motor oil myself. I put Lucas Oil Heavy Duty Oil Stabilizer, plus it was a cold Winter day. I guess these things took more time than usual to circulate the oil in the engine and caused the check engine light to come on. I double-checked everything was put back and tight and cleared the code. Then, the idling became erratic. At first, it went up and down, and then stayed around 500 RPM. The engine stalled several times when I stopped at traffic light. Finally, the check engine light came on with the code P0506 – Idle Control System RPM Lower Than Expected. I suspected my car needed to relearn the idle speed but didn’t know the procedure. I tried to do my own way by leaving the key on for 5 minutes, then start and let it idle for 5 minutes, which may work on vehicles with IAC valve on the non-electronic throttle body, but it didn’t work on my car. I searched online and soon found the procedure above. I performed it, and it worked. The idle speed got back to normal (around 750 RPM), and the engine won’t stall anymore. Some people says that if you drive for a while without performing a specific procedure, the computer relearns automatically. It may be true. However, you will experience the difficulty in your driving until the computer finishes to relearn. Besides, you don’t know when it will finish, or you don’t even know whether or not it will finish. What’s more, it is dangerous that the engine stalls when you’re driving on the road. So, if you have idle issues after you’ve done something like disconnecting a battery or clearing the code, you’d better perform the idle relearn procedure. What should you do when Check Engine Light comes on? This entry was posted in Auto Repair and tagged Subaru, Throttle Body on March 30, 2019 by admin.